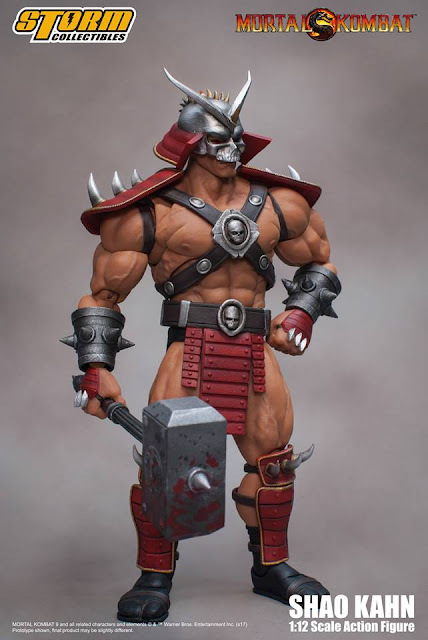 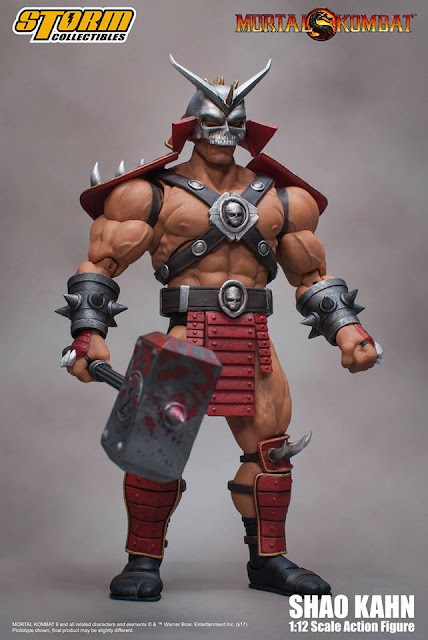 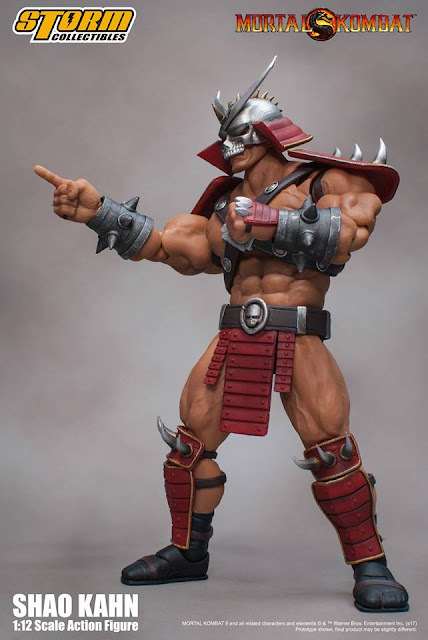 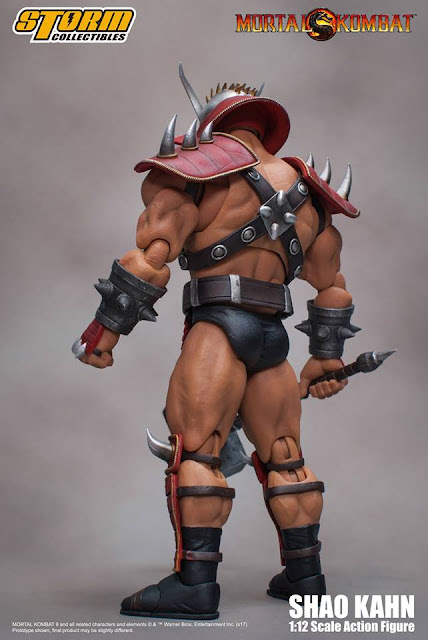 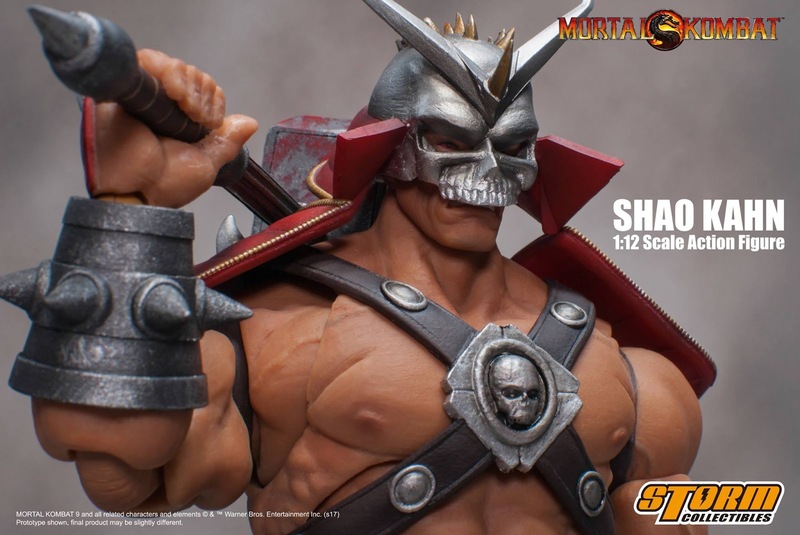 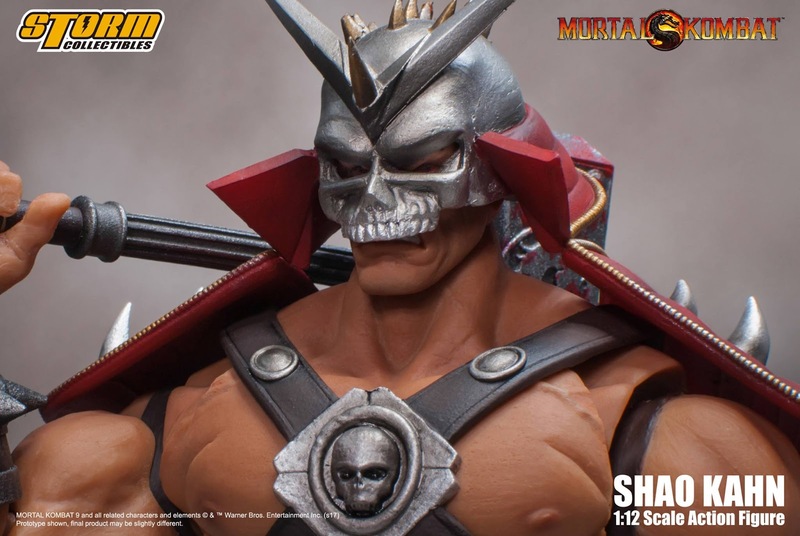 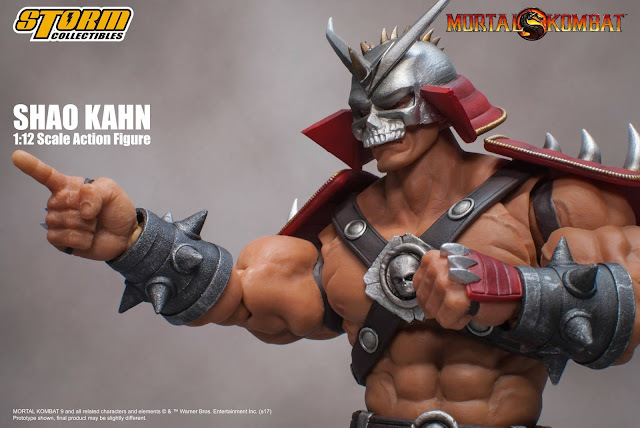 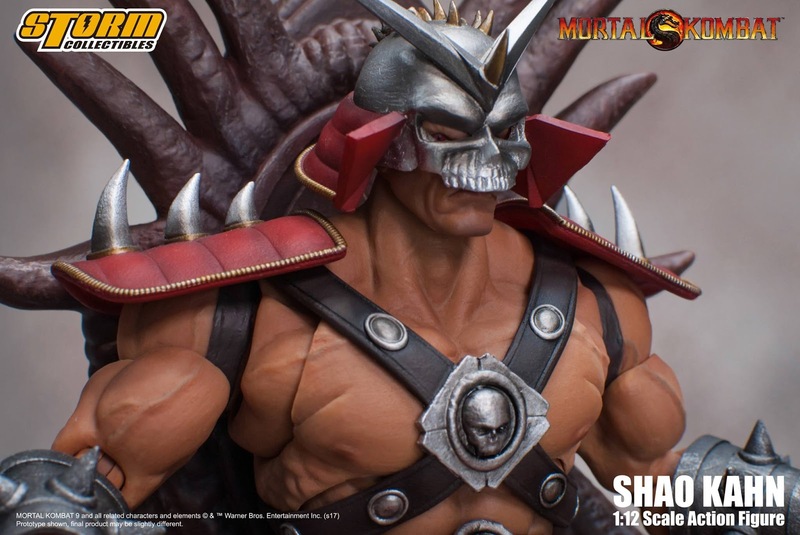 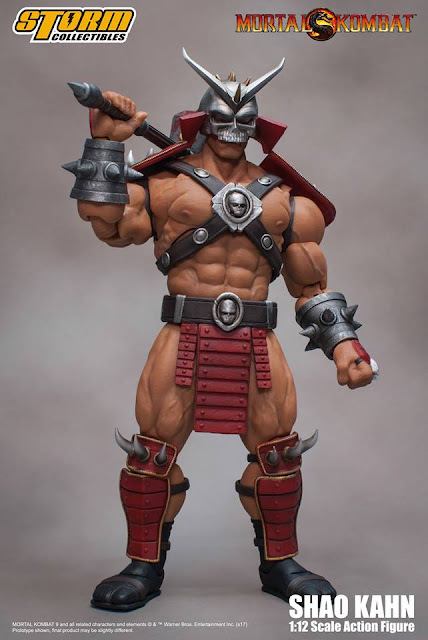 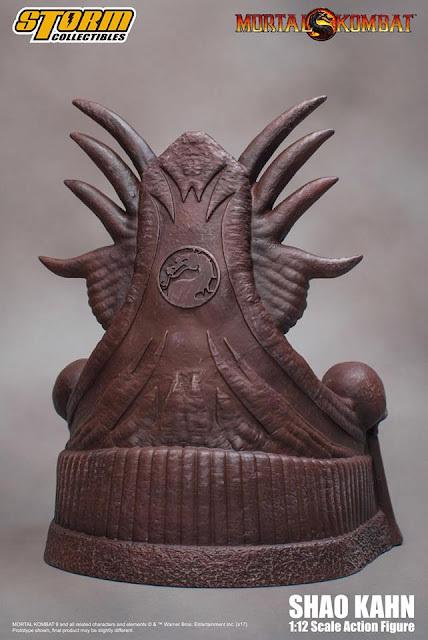 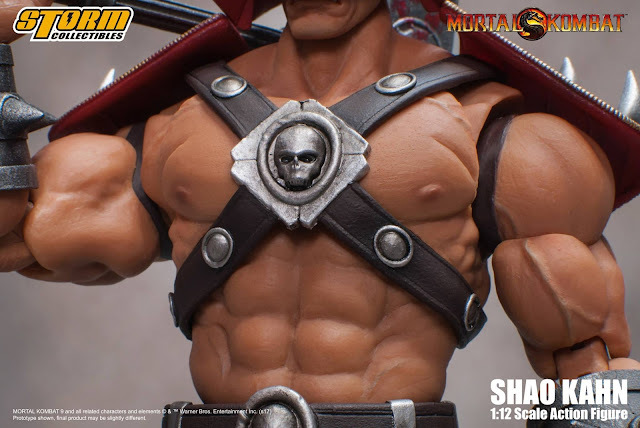 Dr Jengo's World: Storm Collectibles announces 1/12 Shao Kahn! So.. after all those ninjas, Storm Collectibles will finally be releasing something different.. and it is something we have all been waiting a long time for.. The 1/12 figure of Shao Kahn in the Klassic line.. 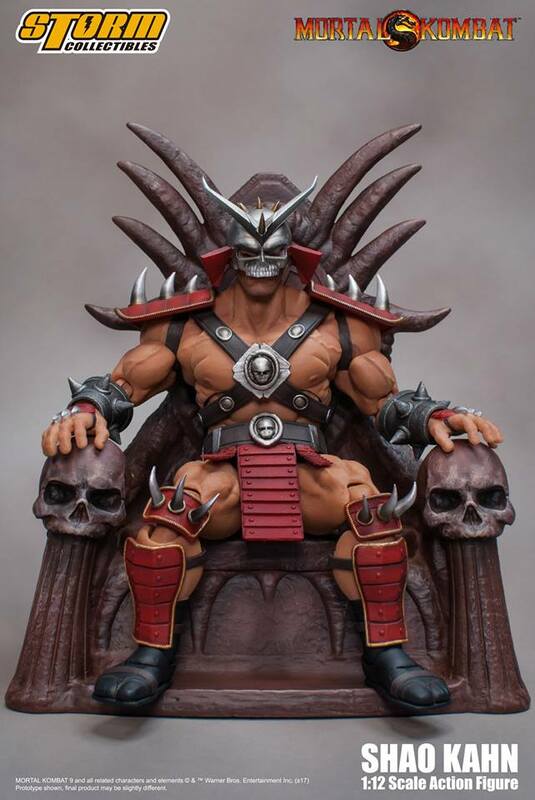 The biggest, baddest boss of Mortal Kombat! 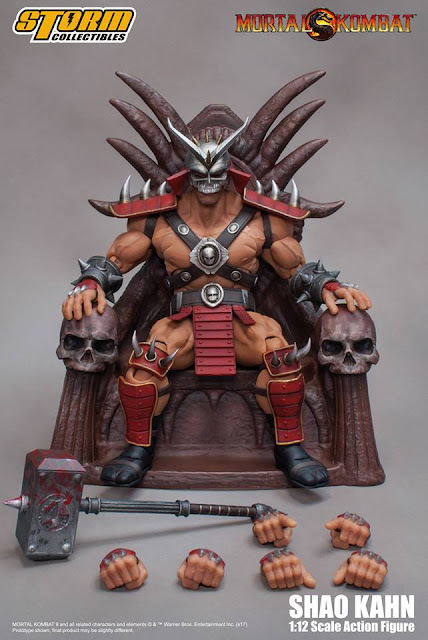 Shao Kahn, the Outworld Emperor.. ok enough.. Let's get on with the pics.. The last 2 pics look more like a dance move more than anything.. but yes, the articulation of these figures are really good and you can put them in all kinds of poses. Makes for a really dynamic display. 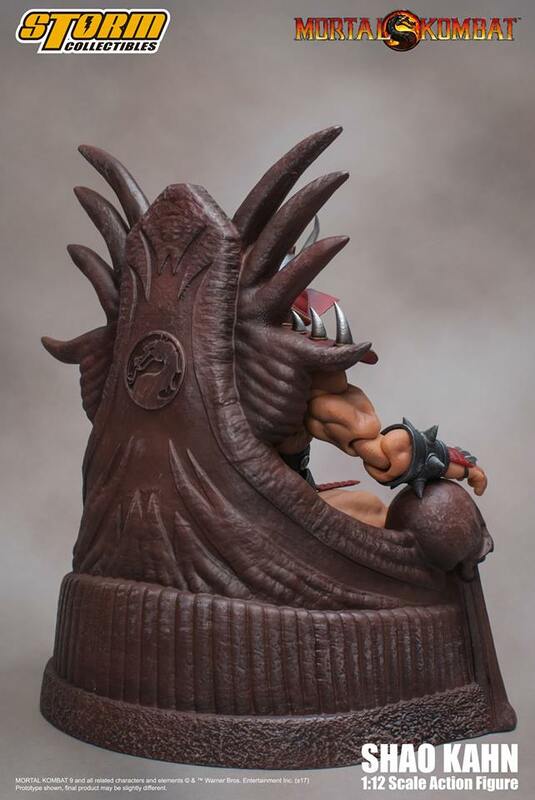 It's also amazing to see that this figure comes complete with his throne. 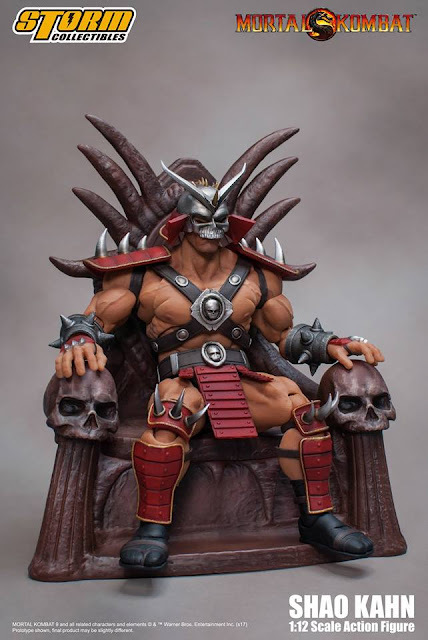 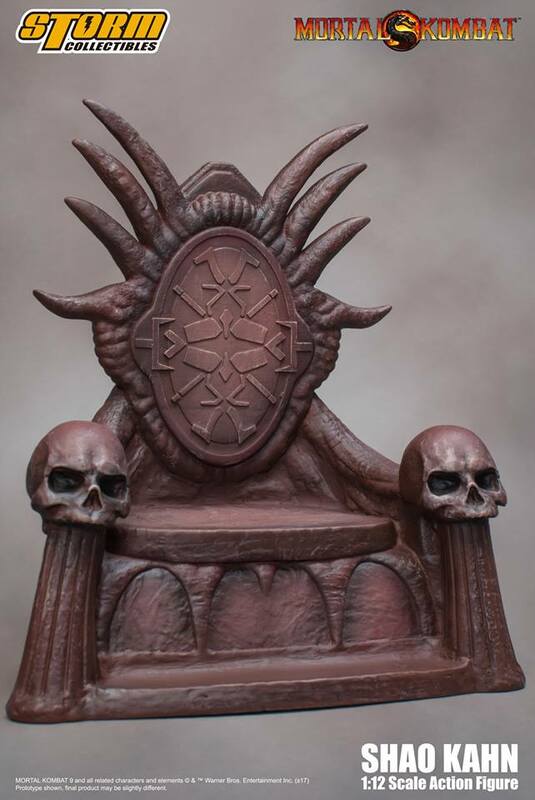 It's cool that the throne accessory can actually have Shao Kahn sitting on it and not be just a side accessory. Great to see another character, apart from the ninjas finally getting released. This will go great with the ninjas.. Still no news about Goro but the future looks great from what was shown at SDCC 2017. 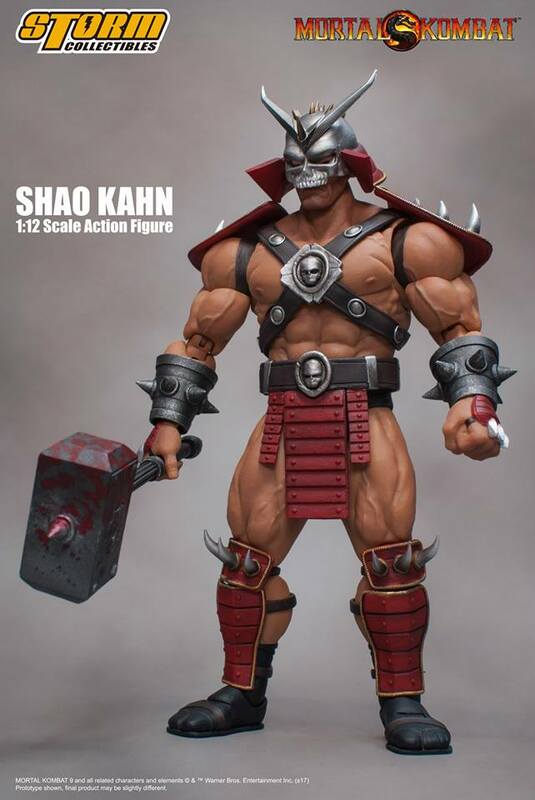 Here's everything that comes with Shao Kahn..